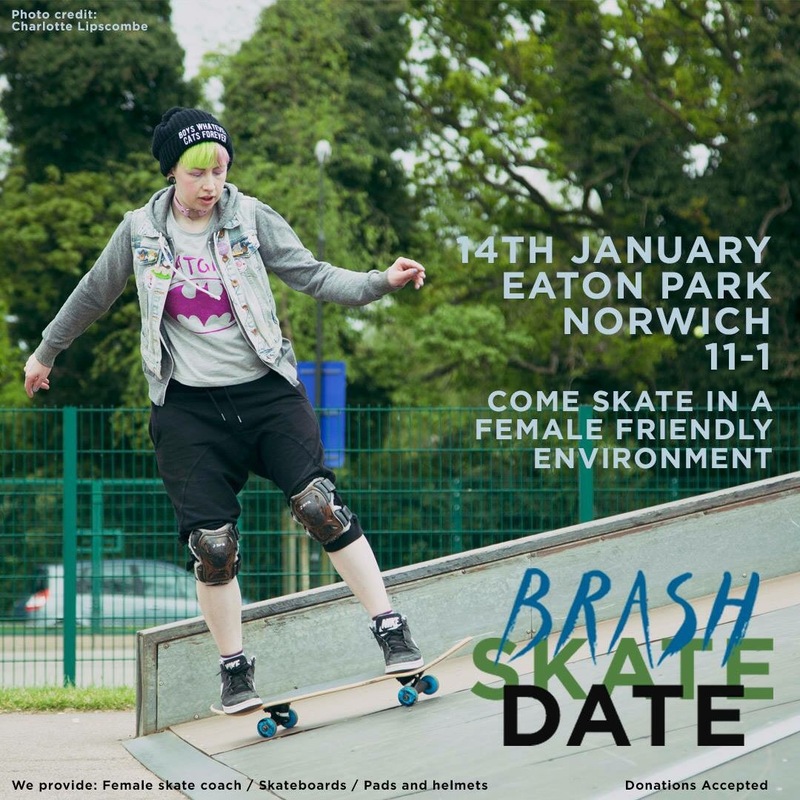 Brash Skate Date in Norwich THIS SATURDAY! “2016 is long gone so banish those Winter blues, celebrate new beginnings and have some fun! Ever though about trying skateboarding, but never had the guts to? Well now is your chance! Come to our first Skate Date of the year (Sat 14th Jan in Norwich) to try out skateboarding. And you don’t even have to own a board! Brash has skateboards and safety pads/helmets. And if you can already skate, then great! Come along too, even if you just want a few tips. More info on the Facebook event page here!